Many Different Red Orange Yellow Tomatoes On Dark Wooden Surface... Stock Photo, Picture And Royalty Free Image. Image 107593824. 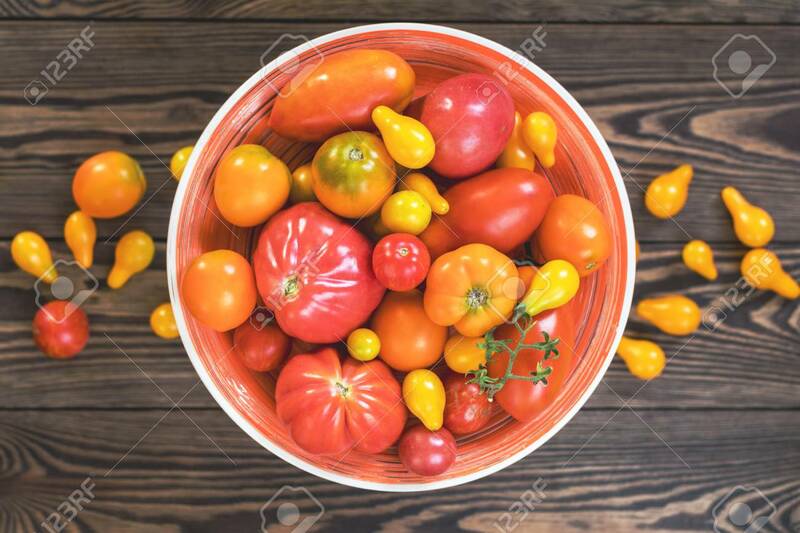 Stock Photo - Many different red orange yellow tomatoes on dark wooden surface. Beautiful food art background, top view.